We no longer follow the companies mentioned in these backdated newsletter issues. These samples of past newsletters are generated to give you an idea of what you can expect when you subscribe. Please do not use any of the information contained in the samples below as current advice. If you would like to purchase a newsletter subscription, please click here. 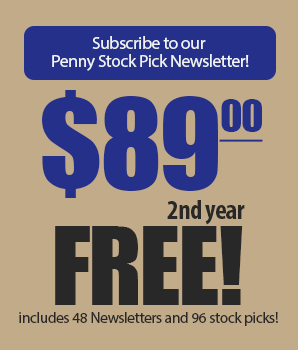 If you would like to purchase a subscription to the Pennystock.com Newsletter, please click here. AETERNA ZENTARIS, INC & NUPATHE, INC. Since 1996, over 70% of our closed positions have been for gains of 50% or greater. We have done this year after year. 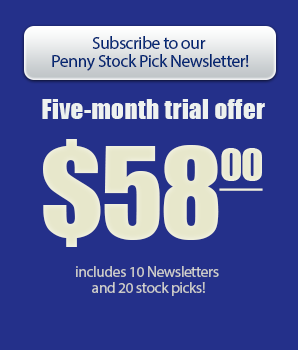 That is probably why we are the only penny stock site that is recommended by both Barron's and Forbes.